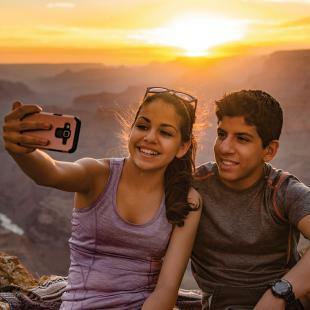 Take a walk through time and discover the extraordinary geological history of the Grand Canyon during this Trail of Time Guided Hike from Grand Canyon South! For this guided walking tour, you will climb aboard a custom Jeep Wrangler for a brief, open-air ride to and from the trailhead. 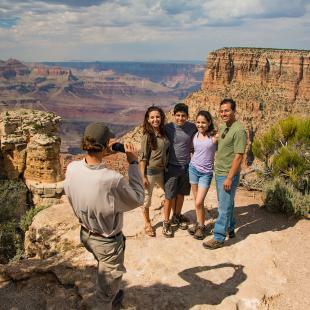 Upon arrival, you will stroll along the fully-paved Trail of Time between Yavapai Point and Grand Canyon Village. This interpretive walking trail provides ample opportunity for breathtaking photographs along the way. 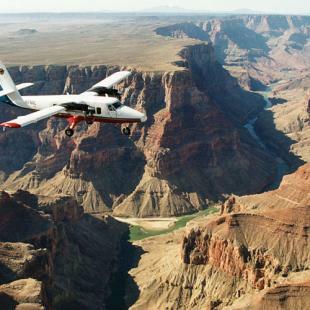 Learn about the forces that created the Grand Canyon and the unique geology of the area through a series of hands-on displays along the route. 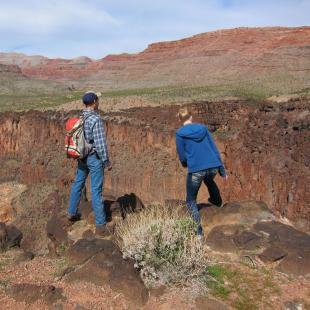 Your expert guides will teach you to identify details like algal reefs and mud cracks as you observe the canyon throughout the approximately 3-mile walk. Along the way, stop in the Yavapai Geology Museum for even more insight into the history of the area and to enjoy incredible panoramic views of the Grand Canyon as your guide brings history to life. 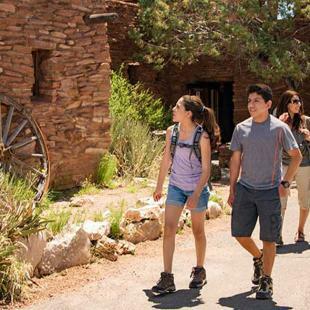 The trail terminates at Grand Canyon Village, where you can visit the famed El Tovar Hotel and Hopi House. In the village, you will have time to explore and pick up a few souvenirs before heading back. 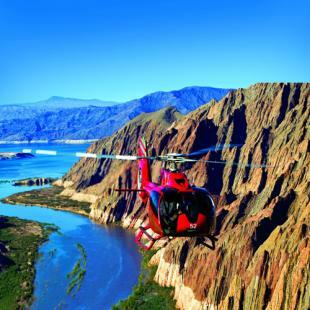 Your tour of the Trail of Time at the Grand Canyon's South Rim includes all park entrance fees as well as a ticket to see the IMAX movie: Grand Canyon: Hidden Secrets. The movie can be viewed either before or after your tour at your own convenience in the town of Tusayan. Children 18 months of age and older are permitted on this tour. 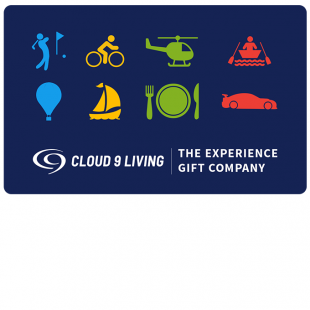 Child rates may be available, please contact Cloud 9 Living directly to inquire about children's pricing. The Jeeps can accommodate 6-9 passengers. You may be accompanied by other participants on the tour. Spectators are not allowed on this tour. This experience will run rain or shine, as long as the roads are open. In the case of cold weather or rain, the Jeep will be enclosed for your comfort. Please always contact the experience provider directly with questions or concerns about the weather. Comfortable outdoor attire that is appropriate for the weather is recommended. You may want to bring a warm layer in case it gets cool while driving. Good walking shoes are also strongly encouraged. 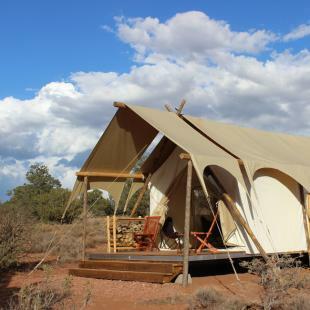 For this experience, it is recommended that you book your dates at least 2 weeks in advance. For peek summer weeks, you may wish to book earlier. Is this a challenging hike? The hike is done at a leisurely pace along a paved pathway. The total distance is approximately 3 miles. Sunscreen and a bottle of water are strongly encouraged for this tour. You will also definitely want to bring your camera! Yes! Children as young as 18 months are permitted on this tour, but will require their own ticket. 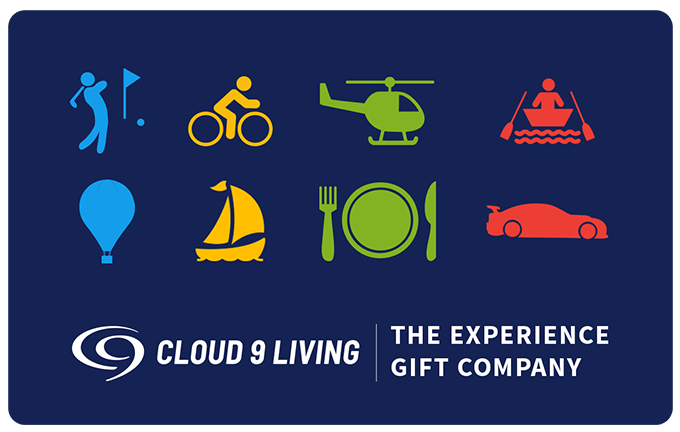 Please contact Cloud 9 Living directly to inquire about children's rates. No! Your experience provider will provide car seats for all children between the ages of 18 months and 4 years. Just let the provider know at the time of booking and they'll take care of the rest. 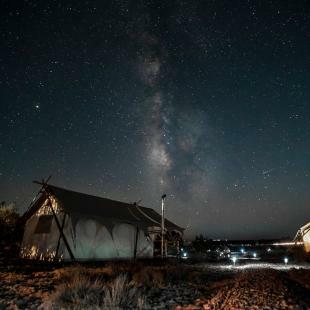 Complimentary hotel pick-ups can be arranged for guests staying in the town of Tusayan only. 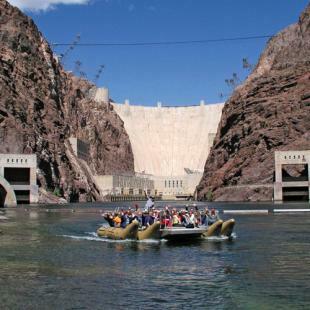 Otherwise, guests are expected to arrange their own transportation to the meeting location for this tour.